This entry was posted in Fiction, Religion, Society and tagged feast, Jesus, magic, miracles, Romans, water into wine. This type of story was an attempt to assume the traits of Dionysus, not a literal occurrence or party trick. Jesus is also referred to as “the true vine” (John 15, The Vine and the Branches). Why call it a “true” vine if not trying to prove another “vine” false? Dionysus is the God of the Vine. He IS the vine embodied. The legend told is that when he was killed, his blood hit the earth and sprang up as a vine, each grape representing a drop of his blood. Wine was incredibly important in His rites. It’s not a coincidence that catholic ceremony of sharing wine and bread mimics earlier Pagan ceremonies. If it couldn’t be suppressed, it was subsumed. Below is a link to a page which details some of the miracles and lore of Dionysus, which includes wine bubbling up from a spring at ecstatic festivals in his honor. The article is well researched and includes one of my favorite writers on Dionysus, Karl Kerenyi. I agree in part, Beth. I accept that John was trying to use the story to co-opt followers of Dionysus, and used some of Jesus’ Passover imagery to support it. 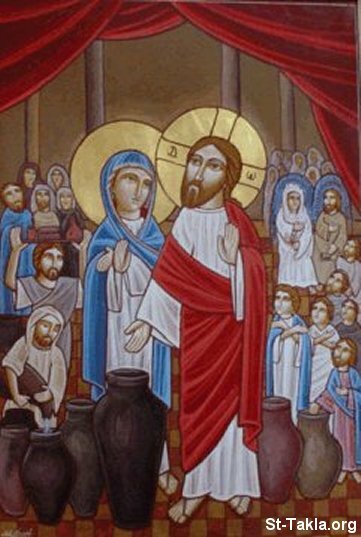 And the story of turning water into wine is only in John, not in the three Synoptic Gospels. And John’s is the wackiest of the gospels, and therefore the least reliable. However the story is still perfectly possible as, not a miracle, but an event – one of Jesus’ little street magic demonstrations. If it was unconvincing or trivial it needn’t be reported in the Synoptic Gospels – but if John thought he could get some mileage out of it, he might well tell it with his own spin. And that’s how I see the gospels – rooted in fact, but spun like crazy to help the new Christian sect, with diverse advocates but all under Paul’s influence, grow their influence.